The Gwent Levels is home to a rich assemblage of wildlife. Precisely because of gradual changes to the landscape followed by centuries of stable maintenance of the watercourses, the Gwent Levels now has one of the best assemblages of aquatic invertebrates in the country. With every field across the 5856 hectares of the Gwent Levels bounded by a watercourse the wildlife potential is staggering. The grips, ditches, reens and main rivers provide a myriad of opportunities for different species, from the world’s smallest flowering vascular plant Wolffia arrizha, to the top predators like grass snake, little egret and otter. Plants such as water plantain, with its delicate white flower, and arrowhead thrive in the clear waters. Submerged plants, such as pondweeds, and floating-leaf plants, such as water starworts and frogbit, are also common throughout the drainage system. The assemblage of water beetles is unique in Wales and home to rarities, such as the great silver water beetle (Hydrophilus piceus), found nowhere else in Wales and restricted to only a few other sites in southern England. The Gwent Levels are also one of few remaining strongholds for the shrill carder bee Bombus sylvarum - a UK priority species. The levels also support water vole and a wide variety of birds, particularly waders and waterfowl. 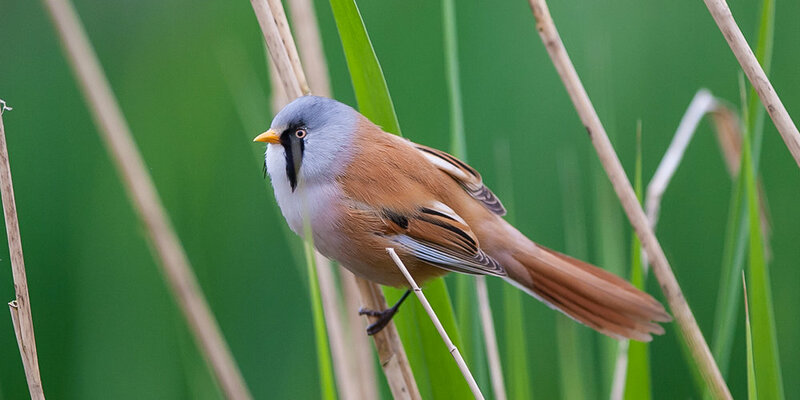 A number of European protected species and UK protected species have been confirmed to be present, including dormice, grass snake, some bat species, otter, great crested newt and water vole. The charismatic water voles had become locally extinct from the Levels but are now increasing thanks to a reintroduction and mink control programme managed by Gwent Wildlife Trust. The Gwent Levels is also one of the largest blocks (10,500ha) of coastal and floodplain grazing marsh (a BAP priority habitat) surviving in the UK. The drainage system of reens and ditches extends to 1,629km. Within this block, there are eight wetland SSSIs, covering 5,700ha, designated because of the range of aquatic plants and invertebrates associated with the reens and ditches of the drainage system that have been able to take advantage of the specific environmental conditions created by the distinct water level and vegetation management regimes of the historic Levels. Together, they represent the largest complex of lowland SSSIs in a coastal and floodplain grazing marsh in Wales. To the south lies the Severn Estuary. Designated as a Special Protection Area (for rare and vulnerable birds); a Special Area of Conservation (for threatened saltmarsh habitats and other species including river and sea lamprey, twaite shad, salmon and eel). The River Usk, which divides the Wentlooge and Caldicot Levels as it flows from Newport into the Severn Estuary, and the River Wye, which enters the Severn Estuary at Chepstow, also support habitats of international significance, and are both Special Areas of Conservation. Special features include a range of fish species (sea lamprey, twaite shad and Atlantic salmon).